Home > Manager Profiles > VfL Wolfsburg 08/09 : The Felix Factor. The 2008-09 season had a surprise in store for Bundesliga watchers. 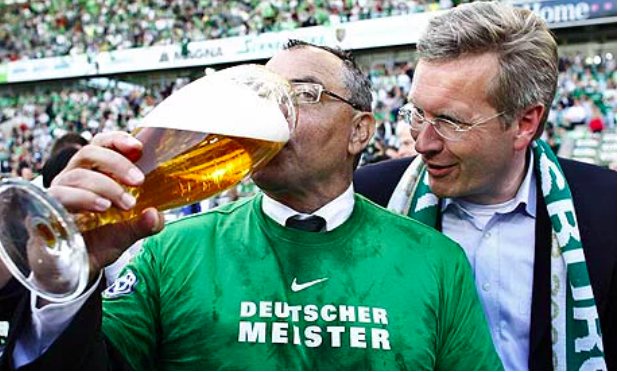 VfL Wolfsburg were managed by Felix Magath, a manager who knew his ways around the Bundesliga. Yet, no one imagined them to build on their previous 5th place finish to become Champions of Germany. How did Felix Magath manage to take a side destined for mid-table mediocrity to the summit of the Bundesliga? During the early days of Leicester’s run in England, en route to being crowned as Premier League champions, VfL’s underdog story was used as a measure of comparison by pundits. Wolfsburg were definite underdogs to be Title Champions when they won it. At the preview features of the season, naturally, every pundit favored one of the usual suspects namely, Bayern Munich, Hamburg and Stuttgart to run away with the title after stiff competition leading to the final week when the winner would be decided. The mistake from pundits and viewers alike seemed to be underestimating the hardworking machines that Magath fields. For football fans who have only witnessed Magath’s Fulham, the German was not given enough time to get his efficiency working. In Germany rather, the man has won the Bundesliga multiple times, before it was a one/two horse race. A truly experienced customer, in 2007-08, Magath took over the reins at Wolfsburg. Times were not all golden right from the word go. Wolfsburg enjoyed a rather dry and uninspiring first half of the season, but the machine that Magath assembled started to get into motion during the second half of the season. This factored to Wolfsburg being an unstoppable force, rising to finish 5th in the table, qualifying for the Europa League (Then known as the UEFA Cup) qualifier rounds. A massive improvement from their 15th place finish in the 2006-07 season. When we put this into perspective, a successful Bundesliga campaign should have been the least of the expectations from Wolfsburg, but due to the Felix Factor, Wolfsburg’s success should not be listed down as a miracle. With all due respect to Claudio Ranieri and his Leicester side, Wolfsburg’ success was down to clear planning and progressive growth of the squad due to efficient management. Therefore any comparison would be a fool’s fantasy as Leicester’s success was not down to the long-term planning that Wolfsburg had achieved. Happy souls all over the park. A truly historic day in VfL’s history. How exactly did Magath change the gears at the Volkswagen arena to swiftly transform the relegation contenders that were Wolfsburg when he took over, to Bundesliga champions? Apart from the manager, the crux of the success obviously goes down to the squad that is fielded on a regular basis. The regularity of players featuring in the starting XI plays an instrumental role in building up the chemistry, confidence and morale of a title-winning squad, which in turn galvanizes the efficiency – the exact effect that Felix Magath expects from his sides. Magath is known to be a stickler for discipline too. He expects his players to give it all on the field. He wants to see the attacking Arsenal fire from all sides. Defence is the best form of attack and Magath’s defenders could certainly do that. At Wolfsburg, the defenders at Magath’s disposal definitely back this up. Andrea Barzagli, Marcel Schafer and Sascha Reither formed the core of his setup. What needs to be noted here, is the transfer of Andrea Barzagli. Had the shock move not gone through, Magath may not have won the title at all at the Volkswagen arena, we may have seen the pundits’ prediction come true. Perhaps, most of the big boys of the Bundesliga would have saved face from embarrassing defeats against the Wolves. The Italian was ready to take a massive pay cut and make the move to Fiorentina, but the club were not willing to meet the demands of the player even after the native boy was ready to consider a massive pay cut. In came the Wolves and the Italian signed duly. The Wolves had quietly gone out and made a statement signing, yet none of the big boys paid much heed. They could be forgiven for at that time, Barzagli was a great defender but not proven outside Italy, he was ideally considered as a hit/miss. Most pundits labeled the player as a late bloomer. Yet, the Wolves had managed to sign an Italian CB who was very much in his prime. A player who fit exactly into the molds of Magath Centre Back. Physical, an A real Threat, quick – capable of filling in at the wide roles, calm, composed and most importantly a more than capable leader. The player played every single minute of the title-winning campaign and publicly thanked Magath for improving him as a player during his time at Wolfsburg. Magath’s key signing cost the Wolves a sum of around 12M Euros. Peanuts in the current market. Another player who was a catalyst on the side was Christian Gentner. The former Stuttgart player came to the Volkswagen arena with the experience of winning a Bundesliga title. Gentner was initially a loanee from Stuttgart, who signed on a permanent basis in the early days of the 2008 campaign. With 2 more disciplined CBs at his disposal, namely, Riccardo Costa and Christian Zaccardo, there was no getting past Magath’s machine. Gentner featured in every single game alongside club captain Joseu. In all competitions, Gentner made 45 appearances for the Wolves and scored 6 goals as well. 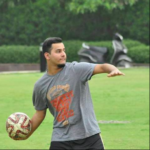 He served mostly as the link between the defence and the attack, alongside Joseu who worked as the shield for the Back-line when the Wing-Backs attacked. Hence, Gentner became a key box to box player in the system that Magath deployed. The core of the defence line costing Magath only 12M Euros. Which manager in World Football can currently boast that? Apart from Ranieri’s Leicester of course, every top team currently spends the footballer’s weight in gold to sign them. Back in 2008, 12M was a huge amount, but still quite cheap if you think about the spending power that teams like Bayern Munich and Stuttgart possessed. Gentner celebrates a goal against Bayern. That 5-1 victory proved to be a crucial game for the Champions as they overcame Bayern by 2 points. Moving on to rest of the defence, the Wing-Backs played a crucial role in making the pressing defensive line that Magath played. Schafer especially played a key role in Wolfsburg maintaining their winning run in the Bundesliga. He provided the assist to Dzeko in the 5-1 humiliation of Bayern Munich in April 2009, just weeks before securing the title. The side that finished second? FC Bayern by 2 points. Quite evident how important that 5-1 drubbing was to the title-winning season. Sascha Reither who currently plies his trade at Schalke, was an instrumental part of the defence, featuring 28 times in the season. This Wolfsburg defence kept a strong run of 10 unbeaten games, humiliating giants such as Bayern, Bremen and the then minnows of Hoffenheim on the way to winning their first and only Bundesliga title. Results such as 5-1 against Bayern and Bremen, 4-0 against Hoffenheim could not be availed with just the strong defensive line. Magath’s machine possessed the attacking prowess and the creative mind of a Bosnian duo that was wreaking havoc. Edin Dzeko is a known cult hero at Wolfsburg, but one player who has gone under the radar after playing a key role in the early years of his career is another Bosnian, Misimovic. Zvjezdan Misimović is an attacking midfielder who has featured for Bayern Munich, Nurnberg, Wolfsburg, and Dynamo Moscow was the key source of goal scoring chances. The Bosnian notched 20 assists that season, a Bundesliga record which was broken recently by another Wolfsburg player – some player who goes by the name of Kevin De Bruyne. Misimovic not only created the chances for Dzeko and his compatriot, Grafite who scored 54 goals between them that season, but he also converted chances, putting himself on the score sheet 7 times. The attacking flair that this Wolfsburg side portrayed will always be remembered fondly by every fan of the German league. The Wolves scored 80 goals in the campaign, winning 16 out of 17 home matches. The title challenge was a success thanks to the herculean effort of the Forward duo. The Bosnian was expected to hit the ground running as always. He’s gone on to score big, important goals at City and Roma. But the striker who ran away with the limelight and the awards in 2008-09 was his partner in crime, Grafite. The Brazillian scored 28 goals. Naturally, he went on to win the kicker Torjägerkanone – in layman terms, the Golden Boot for the Bundesliga Season. 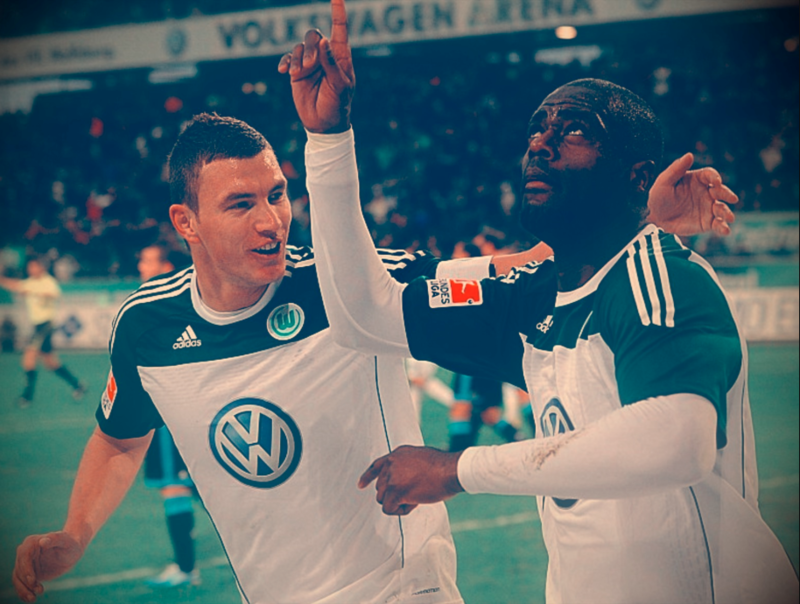 Wolfsburg’s dynamic duo that LITERALLY blew the Bundesliga away. The famous attacking flair that was associated with Magath’s football was shone in all aspects of play in Wolfsburg’s game plan and execution. Unfortunately, they could not repeat the feat the following season, even with Dzeko winning the Golden Boot with 22 Goals. Some might argue that Wolfburg’s failure to recreate a season as historic as this in the decade to follow, proves that the title-winning season was actually just a miracle, but there was more method to Magath’s Madness than what he usually is given credit for. He carefully planned and set up the play to suit Wolfsburg’s financial conditions and maximized the gains by squeezing out every ounce of efficiency available from his squad. 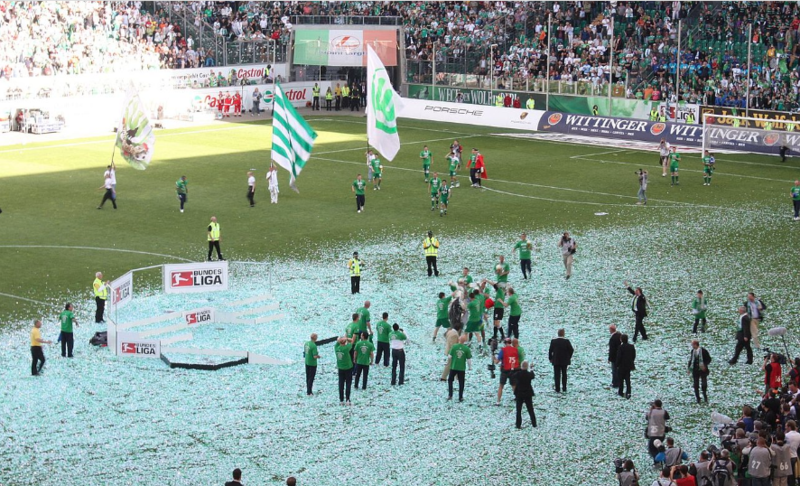 One hopes to see VfL repeat it again, probably the 2013-14 season comes the closest, but with the current state of affairs, another Wolfsburg fairy tale seems far away in the Bundesliga.